My fitness family regularly team teaches, especially when we launch a new release. Here we are showing off our “country” gear at our January launch. One of my favorite things about being a fitness instructor is all of the people that I interact with on a daily/weekly basis. Even if we are not deeply involved in each other’s lives, we are a part of a kind of fitness family that provides support for each other, even when not verbally or intentionally. I choose not to cancel my classes during the stretch between Christmas and New Year’s, in part because I don’t want to miss my workout, but also because I don’t want my participants to miss theirs. Holiday stresses can be mitigated through fitness classes and through the comfort of routine. Because “the holidays” are always seen as that all-important time for friends and family, and because I am so fragmented from my widely-dispersed family, my fitness family plays an important role at any time of the year, including the “holiday season.” And since I am not much for holiday celebrations, as my quoted holiday comments might suggest, what I get from my fitness family during the holidays goes a long way. As I note in my new book, Women and Fitness in American Culture, fitness is a hobby that I was introduced to through my mom, and she and I have attended many classes together over the years–some I have taught, some she has taught, and some we have taken together. Whenever we are visiting each other, a fitness or yoga class will certainly be a part of the visit. Via my fitness participants, I get to witness and participate in this kind of family bonding from a different perspective. I love seeing the mothers who are excited to have their daughters home, and perhaps just as excited to bring them to class. They get to share with their daughters the fitness classes that they experience on a daily basis. Sometimes they get to introduce their daughters to something new. When Valerie brought her daughter Emma to yoga, I could tell how happy she was to have her there. When they came to Group Groove the next day, I got to talk with her and experience this excitement more. 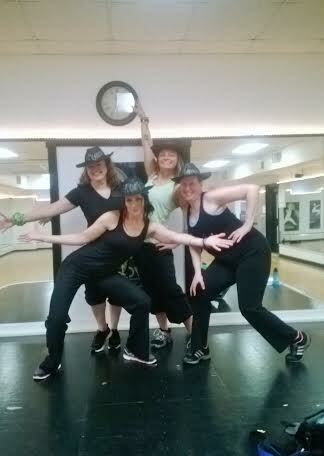 Emma had not previously taken a Group Groove class, and she did great. The smile on her face afterward was better than any holiday gift–for me and for her mother. Suzanne’s daughter, Alex, comes to classes (yoga and Cardio Mix and Group Groove) when she is home to visit–not always only during holidays. Suzanne tells me about the classes that Alex takes in New York, where people’s mats are only inches apart and classes are packed, and I try not to be nervous about living up to the standards of the yoga she must experience there. YogaFit‘s emphasis on “letting go of competition” helps remind me that yoga is not about competition and that each class is what it is; there is value in diversity (“it is what it is” is a bit of down-home Maine wisdom I have learned). One of the best holiday surprises this year came from an older man who pretty regularly takes my yoga/Pilates stretch mix class. On a day of heavy snow, when all the other classes had been cancelled, I taught my class to a devoted handful of regulars. After class he came up and thanked me, telling me how much he always enjoys my classes. He then told me that sometimes when we are relaxing and moving through class he will think about people he needs to connect with. Yoga makes the space, he explains, to think about those loved ones, like his daughter or old friends, that he doesn’t keep up with as much as he should. Since it’s the holiday season, he tells me, he is going to use this opening as an opportunity to make those connections. What better gift could I get than to inspire a participant in this way? And what better reminder than this that I should work harder to rekindle connections as well? Since the holidays come with trying to finish fall grades while the spring semester looms in the near-future, finding time to rekindle connections is something that I will keep on working out. Sarah Hentges is an Assistant Professor of American Studies at the University of Maine at Augusta and a part-time fitness instructor. 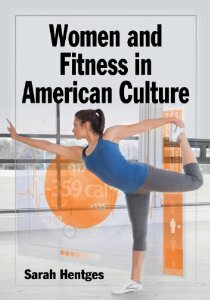 Her new book, Women and Fitness in American Culture brings these two worlds together and asks us to reconsider what “fitness” is in our lives and our culture. You can learn more about this work by visiting her webpage at www.cultureandmovement.com.